Your lights are boring – fix that with some smart lamps. The proliferation of low powered LED lighting has meant manufacturers are able to add features like wireless interfaces and RGB colour changing LEDs to the otherwise drab world of mood lighting fixtures. 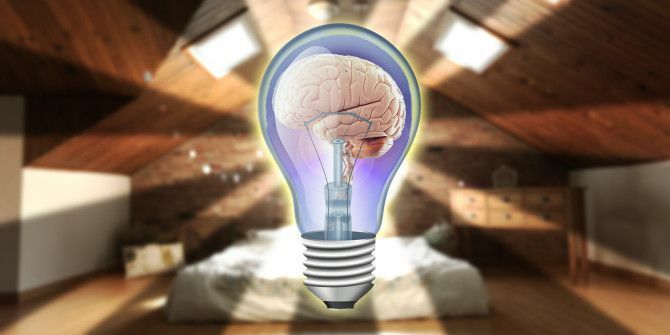 What exactly is a smart lamp, and what’s out there? What’s So Smart About Them? “Smart” is generally a term given to a device once it gains the ability to communicate with other devices and software, enhancing its functionality. In the case of lamps, this could be as simple as turning on and off via a mobile app, but it wouldn’t make for a very compelling experience. The new generation of smart lamps can change colour, adjust brightness, react to music and much, much more. Philips offers the most expansive and feature-rich product line under the Hue and Friends of Hue branding, consisting of the standard plug-in bulbs that can be placed into existing light fittings and lamps, as well as RGB light strips, and a freestanding 120 lumen floodlight called Bloom. 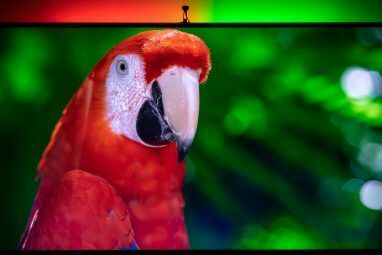 There’s a range of apps available that can interact with your lights (thanks to an extensive API that any programmer can interact with), including an innovative app from Disney that changes the colour to match the scene in the story, an Ambilight extension for your Philips TV, and even some IFTTT recipes. It doesn’t come cheap though: a starter pack of base station and 3 Hue bulbs costs $200, with additional accent lighting at around $80-100 each. Each base station can handle up to 50 lights, but reviewers have noted that even with a mix of 5 lights in a single room, it still appears dark. Lifx offers a plug-in bulb to retrofit your own lamps, and began life as a Kickstarter; they’re now available for $99 each. There’s a range of apps, but not nearly as much support as the Hue. The bulbs themselves give out a healthy 1000 lumens of light, almost twice as much as the Hue’s 600. Apart from being a little brighter, there’s little to recommend the Lifx, and reviewers have noted numerous bugs with the control software. Steer clear. An overpriced piece of milled aluminium with a few dim RGB LEDs; my review of the Holi “Smart” Mood lamp Holi Smart Mood Lamp Review and Giveaway Holi Smart Mood Lamp Review and Giveaway Is the Holi Smart Mood Lamp the ultimate night lamp? Mood lamp? Disco ball? Read More showed it was actually rather dumb. With a custom mobile app to select from various dynamic and static lighting scenes, a music reactive mode that only works if you play songs from within the app, and a broken sunrise alarm mode – the lamp was also not really bright enough to use in anything other than total darkness. Belkin’s WeMo is a wider brand of fully integrated home automation devices, and have recently decided to expand the range with basic warm white 800 lumens plug-in bulbs (though no colour changing). The starter set of 2 bulbs and a base station is expected to cost $99, and will integrate with existing WeMo products and apps. 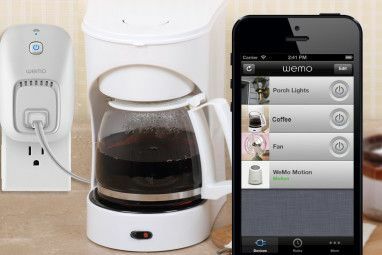 Like the Hue, WeMo has a wide range of apps and IFTTT recipes for ultimate automation. LuMen is unremarkable with about half the light output of Lifx, at half the price ($50); it also works over Bluetooth, not WiFi, so you’ll need to be within range. LG unveiled their own very low output inexpensive smart bulb that adds features like flashing when you receive a call, but its only available in Korea at the moment. You could pay ludicrously inflated prices for lights that barely give off a noticeable amount of light, or you could go the DIY route – making something far brighter, for a fraction of the cost. On the downside, the software won’t be nearly as polished. For about $20, you can buy a 5 meter strip of RGB LEDs directly from China – including controller and power supply. 5 metres is more than enough for most mood lighting projects, but you can extend or shorten them easily. A standard RGB controller works with infra-red (just like your TV), so any programmable universal remote – such as the Harmony Ultimate Logitech Harmony Ultimate Review and Giveaway Logitech Harmony Ultimate Review and Giveaway Your living room is chaos - admit it. You're forgiven for wondering which remote controls which device. What with the TV, amplifier, TiVO, BluRay player, maybe even the lighting - switching activities becomes a long... Read More we reviewed here – can be customized to control the lighting too How To Control Your Custom RGB Lighting From a Harmony Remote How To Control Your Custom RGB Lighting From a Harmony Remote If you own a Harmony Remote, you're probably aware that they can now control the Phillips Hue "connected bulb" - a wifi enabled but extortionately priced $200 LED lightbulb set. But did you know your... Read More . Should You Buy A Smart Lamp? Though the promise of interconnected lighting is exciting, the current offerings are overpriced and incompatible with each other, so you’ll be stuck with the choice you make. Right now, I’d put my money on the Philips Hue – with the most extensive product line and an open API for developers, they have by far the most support. Hopefully, the Smart Home API Apple is bringing to the table in iOS8 What's New In iOS 8? What's New In iOS 8? After last year's big iOS 7 redesign, you'd expect a muted iOS 8 announcement at this year's Worldwide Developer Conference – but you'd be wrong. 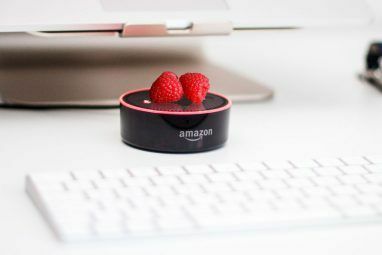 Read More will serve to combine these various standards and allow greater interoperability, but I remain healthily skeptical. Speaking of Z-wave, the simplest form can be two or more modules and a simple handheld remote (like your TV remote). Unfortunately, James, you are right. Z-wave, like all the rest, are not cheap. A few years ago, I spoke to one of the founders of the company. They have a great idea - each node gets identified on your network and when a new node is added to the network, other nodes will 'find' it and add it to their internal map of nearby nodes. There is virtually no limit to the size of a Z-wave network. As long as there are nodes in range to transfer the commands, you can continue to build up your home control system. Z-wave is a mesh networked home automation system. Thanks Brian. It seems to be just as expensive as other HA products, and still requires a base station, right? I was hoping the mesh-networking aspect would mean each device was intelligent enough to operate independently. Not all smart bulbs are as expensive as the article suggests. GE is out with it's "Link" branded LED bulbs that can be controlled by your smartphone. There is an A19 60 watt replacement bulb in three different styles: soft-white indoor ($14.97), soft-white indoor floodlight ($19.97) and an indoor/outdoor white spotlight ($24.97). Home Depot apparently has these on sale with a GE starter kit that includes the "GE Link Hub" and two A19 bulbs for $49.97. X10 ? Insteon? Z-Wave? Zigbee? These are HA standards. The cost of entry to those established home automation systems (which I dont nccessarily define as being "smart") is extraordinarily high, compared to at most a few hundred dollars for some smart lighting. This is consumer technology for the masses, not something that requires a specialist to configure and install. What's this mesh networked home automation you're referring to? Any opinions on Apple's upcoming attempt to unify these different protocols?